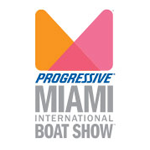 "Big Fair of Boats and Accessories"
Miami International Boat Show provides the attendees with the opportunity to experience the boating lifestyle in a whole new way. It features on-the-water boating workshops, daily seminars, and fun ways to test the waters including paddle sports demos. Miami International Boat Show & Strictly Sail draws in more than 2000 professional exhibitors, displaying over 3000 boat types and models. Some of the main items of exhibit at the event are, Sailboats, Power boats, Bow riders, Bass boats, Sportfishing yachts, Houseboats, Ski boats, Pontoon boats, Cruise liners, Propulsion equipments, Trailers, Docking tools, Marine supplies, Resort services, Boat travel equipments, Multihulls, Dinghies, Sailboards, Electric boats, Airboats, Pedal boats, Wooden boats, Personal water craft items, Custom boats, Toolkits, Folding boats, Jet boats, Rowing shells, Runabouts, Paddlesports equipments.